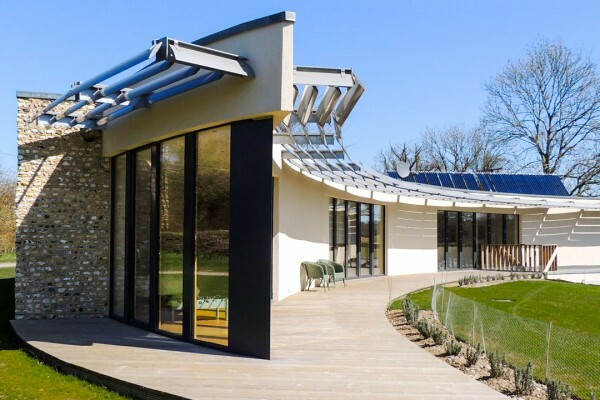 If you’re looking for an eco-friendly build, we can liaise with your architect, contractor or builder, without any extra cost. 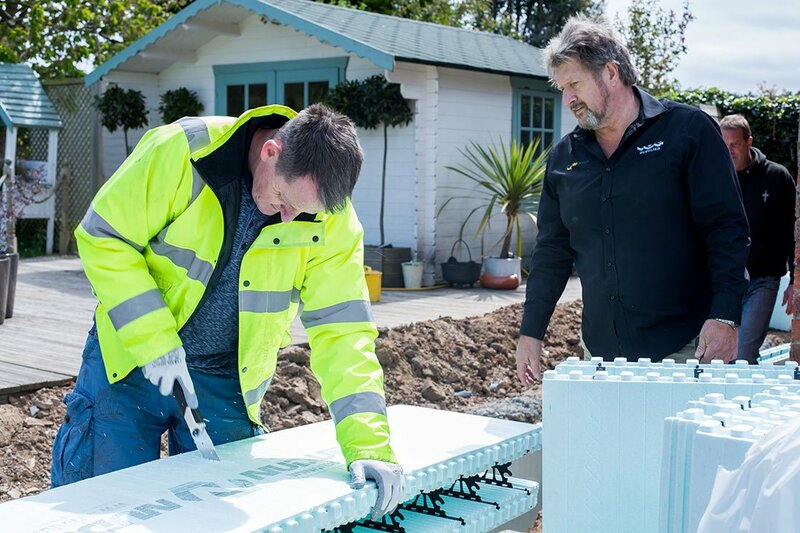 For a self-build, ICF Supplies can provide you with training and support, from foundations to finishes, so you utilise the latest building innovations and save money. 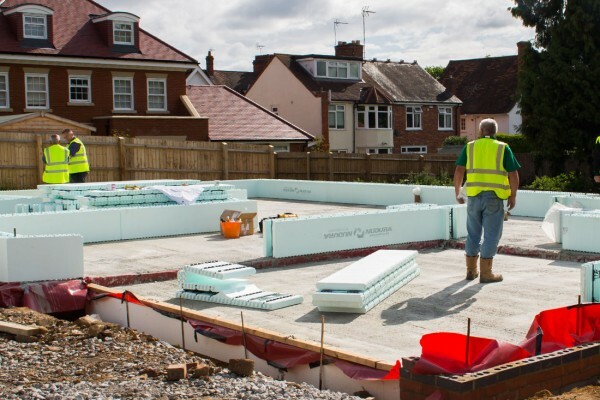 When choosing Nudura Insulated Concrete Forms to build your next home, you can ensure that you are using the best building solution available today. Building with Nudura allows you the freedom and versatility to design and build your home the way you want, without limitations. Nudura Insulated Concrete Forms provide substantial benefits over traditional building methods so that your family can enjoy greater comfort, safety, and energy efficiency in a healthier, more durable home. With rising fuel costs and energy requirements, we need to make the most of building technology so we can better heat and cool our homes. 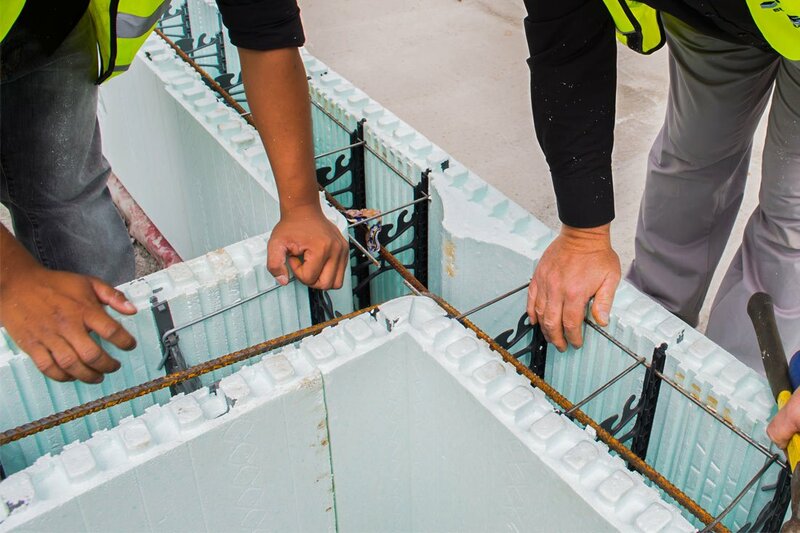 Nudura Insulated Concrete Forms provide maximum comfort and energy solutions for your entire home, providing Performance Values up to R-50 resulting in energy savings of up to 70%, when compared to traditional wood building methods. The superior Performance Value of Nudura comes from the stable thermal mass that the concrete provides. 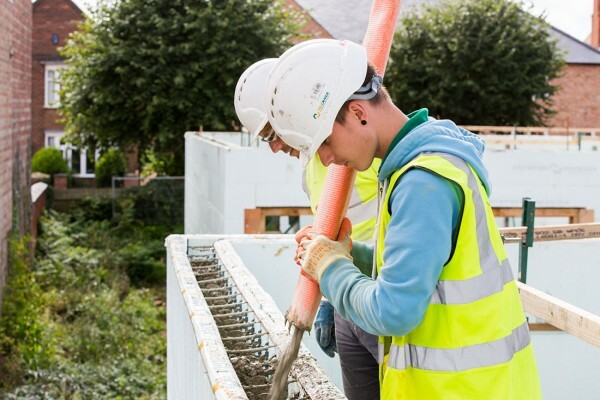 Nudura offers form sizes that provide a solid concrete core of up to 12” (304 mm), providing you maximum energy efficiency, strength and comfort. Nudura forms are mould resistant, which improves air quality and reduces risk of respiratory illness. Steel reinforced concrete is at the core of Nudura forms, which is encased in a non-toxic fire retardant expanded polystyrene foam. When finished, this provides a fire protection rating of 4 hours. 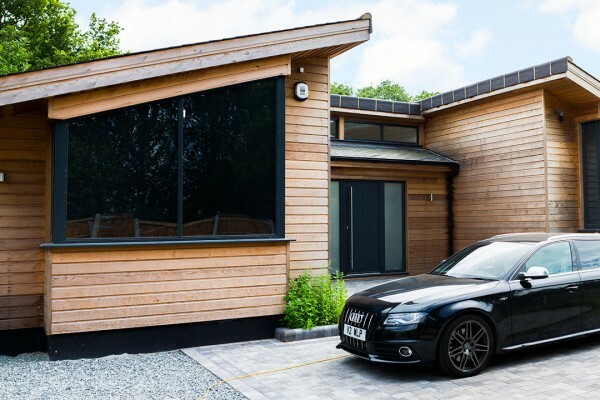 By their nature, Nudura walls are flood resistant, have great impact resistance and are wind resistant to 250mph. When building with Nudura Insulated Concrete Forms, any type of building design and style can be achieved. Internally, plasterboard can be used in exactly the same way as traditional building methods. Nudura exterior finish options are virtually limitless. 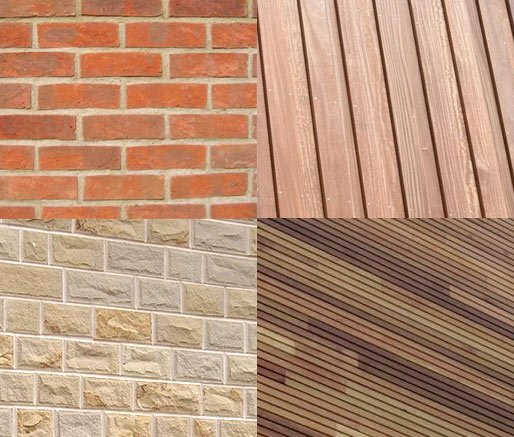 Whether you’re looking for a traditional brick building, New England style wooden cladded home, clean render or something entirely different, Nudura structures can accommodate all kinds of brick, cladding, render, stone, timber or combination finishes. When it comes to the interior, comfort and style are at the top of everyone’s list. Interior finishes are no different to those used by traditional building methods. Interior finishes are easily applied or attached directly to Nudura using our unique fixing points located on 200mm centres. 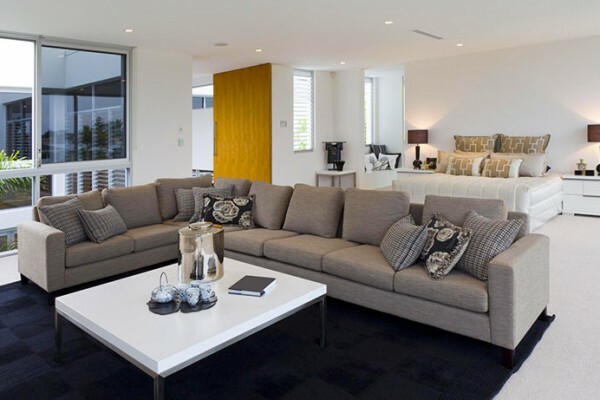 Nudura offers limitless design capabilities when designing your next home or structure. Innovative architectural shapes are easily achieved with Nudura Insulating Concrete Formwork. 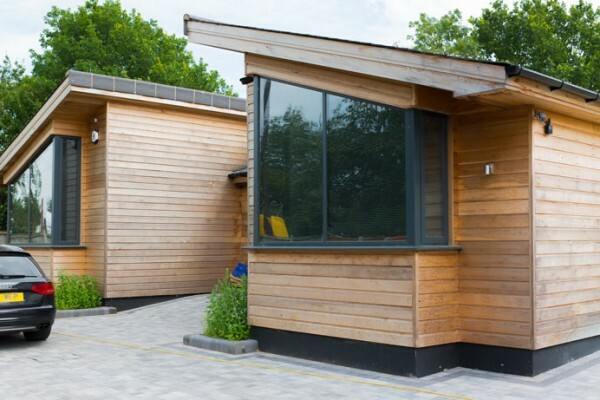 A variety of shapes are available from Nudura to meet any building requirement. Factory custom cut radius forms, 45° and 90° forms allow the home or structure to be built the way it was envisioned. Whatever the design calls for, arches, bay windows or specific door styles are easily incorporated into a Nudura structure. With Nudura, speciality products are not required, eliminating the need for architects to have to specify speciality products. Nudura can be designed and built with windows and doors that are used in traditional home construction, ensuring your costs are kept in line.